Level Ground® AROMATIC RICE: This Red whole grain rice is traditionally used for Filipino festivals. A great alternative for regular brown rice, pasta or barley. Great with steamed or stir-fried or baked in balsamic vinegar vegetables: fennel or endives + onion + carrot + red/orange peppers + zucchini + Chinese eggplant + garlic and spices: turmeric, curry, paprika, black or white pappe. Level Ground® LONG-GRAIN RICE: Versatile and sweet Red rice with a mild flavour. It is a healthy substitute for everyday white rice dishes. Superbly tasty with scallops: on light-medium heat, sauté (cover with the lid) finely-cut 1 small organic onion and 1 grated organic carrot in avocado oil. Add 1 tsp organic turmeric, 1/2 tsp organic curry, pink salt and pepper to taste. Wash 200g Long-Grain Rice, drain, add to the onion-carrot mixture and fry for 2-3 minutes stirring constantly. Pour water over the mixture to cover 2-3cm above the rice. Add more salt, lower the heat (electric stoves - 4), cover with the lid, continue cooking. In a pan, on a medium heat fry finely-cut 1 organic garlic clove until slightly golden. Add scallops - 300g, fry each side until opaque and soft. When rice is soft, add scallops, mix. Add 50g dried barberry*optional. Cover with lid, turn off the heat, and leave on the warm stove for a few minutes to infuse. 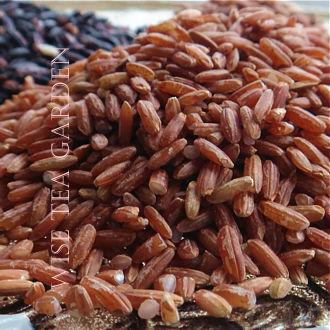 Level Ground® PURPLE RICE: A rare variety of Sticky rice. 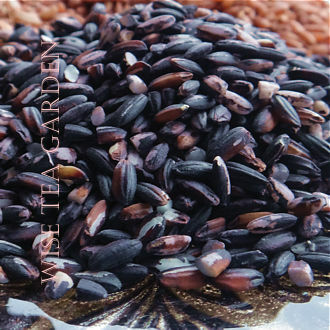 This violet-coloured rice is commonly used for savoury dishes or desserts. A healthy substitute for Sushi or Arborio white rice. Origin: Northern Philippines, UNESCO World Heritage Site. Direct Fair Trade, Lab tested by Maxxam Analytics - Canada. Ingredients: Long-Grain Rice -Natural Whole Grain Rice. 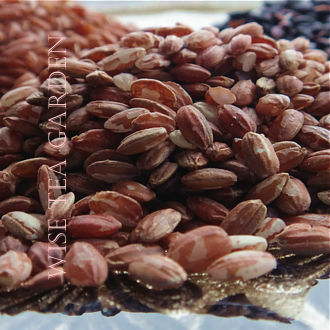 Ingredients: Purple Rice - Natural Whole Grain Rice.